A meaningful New Year's celebration. Join us! Thankful for an incredible 2018! 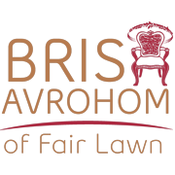 With your generous support and participation, Bris Avrohom of Fair Lawn continues to grow as the warm, vibrant and flourishing spiritual home for the Jewish Russian community of North Jersey. You can help us continue to grow even stronger and greater in 2019! Below is a glimpse of the many ongoing programs and events you can support by making a year end donation today. Family Shabbat dinners, unites friends and families to celebrate Shabbat together. Unique Holiday celebrations for adults and children, with a reputation of excellence in entertainment, inspiration and spirit. 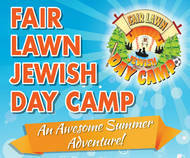 The Fair Lawn Jewish Day Camp with over 400 children experiencing a summer of a lifetime with friendships, awesome trips, activities and adventure in a Jewish environment. Our Hebrew School is at maximum enrollment, with children learning and experiencing Judaism in an exciting, non-judgemental environment. 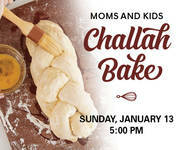 Moms and Tots Shabbat, weekly group for little ones to experience their first taste of Shabbat, while connecting young Moms in our area. Sponsor a month of teen club! 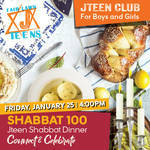 The popular Jteen Club connects local teens to our Jewish heritage, with weekly Teen Talks, community service, social and holiday events. Women join for learning, friendships, community and inspiration. Baking events, holiday classes, paint and wine, and more! Support our growing vibrant community! Daily prayer minyanim, weekly Torah classes, Shabbat services and Kiddush, Bar and Bat Mitzvah prep, home visitations, and counseling. What a Blast! A day full of inspiration and learning. Chanukah spirit and celebration at Hebrew school! 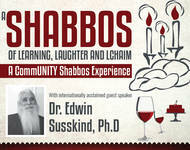 A Chanukah celebration with community, warmth and laughter, food, drinks and Jewish spirit! What an awesome Chanukah night as Jteens spread the Chanukah light! Teens traveled with a decorated bus, visiting the patients at the Maple Glen Center, bringing them laughter, songs, and delicious donuts, then having a blast at Urban Air Adventure Park, and coming back for delicious dinner, menorah lighting and Chanukah gelt! First night of Chanukah, the menorah was lit in front of the Fair Lawn Municipal building, with our own Jewish mayor, Kurt Peluso, reciting the blessings, followed by Chanukah gelt, donuts, music and dancing! What an awesome start to the holiday, as the community joined together to celebrate at the Chanukah Family Festival, with music, Chanukah foods, crafts, games, menorah lighting and Chanukah gelt! Thank you to all the volunteers for all your help! Thank you Life Moments by Igor Perchuk for the photos! Happy Chanukah to all! The Hebrew School morning was filled with Chanukah joy, spirit and action! The older boys visited the Broadway Adult Center, and brought Chanukah greeting and gift bags to the Jewish seniors! Amazing creativity and skill was displayed at the annual Hebrew school menorah contest! The Chanukah Game Show, gave the kids a chance to review and share their knowledge of the story and the traditions of the holiday! The children starred in our own Hebrew School Chanukah music video and took home the Chanukah magazines the children created. Happy Chanukah from Cett Hebrew School!! December is Finally Here!! Join us and Help us light up with would with all of our Chanukah programs! Turn to the calendar page and check out what is coming up this month! Thank you to our September calendar sponsors: Michael Gutnikov, Gary I. Gorodokin, Aveline Mattress Modway, Julia Starobinets - DDS of Bright Smiles Orthodontics, Zohar "Zack" Zamir of the ZAMIR GROUP, Nad's Hair Studio, and ABA Insurance Agency.